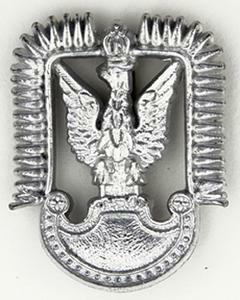 A cap badge of the Women's Auxiliary Air Force, Polish Air Force. 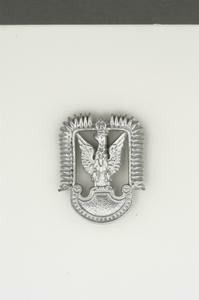 openwork silver/white metal (?) 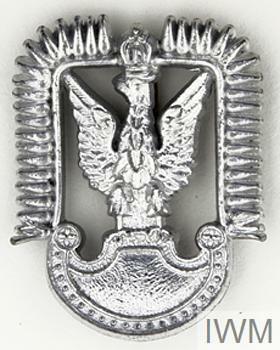 badge, comprising the crowned Polish eagle enclosed by stylised wings; below the eagle a semi-circular scroll. 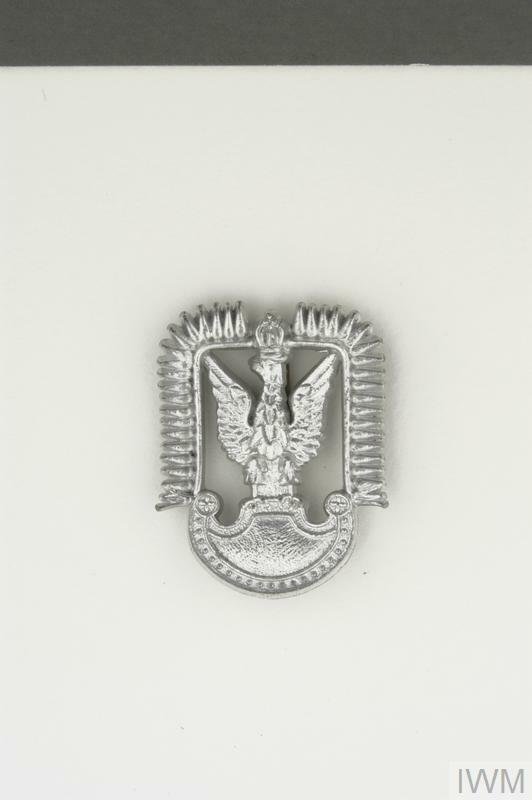 Second World War period plastic cap badge for the Polish Women's Auxiliary Air Force (WAAF).